Yes, I got another Althea Box. If you ladies aren't aware. 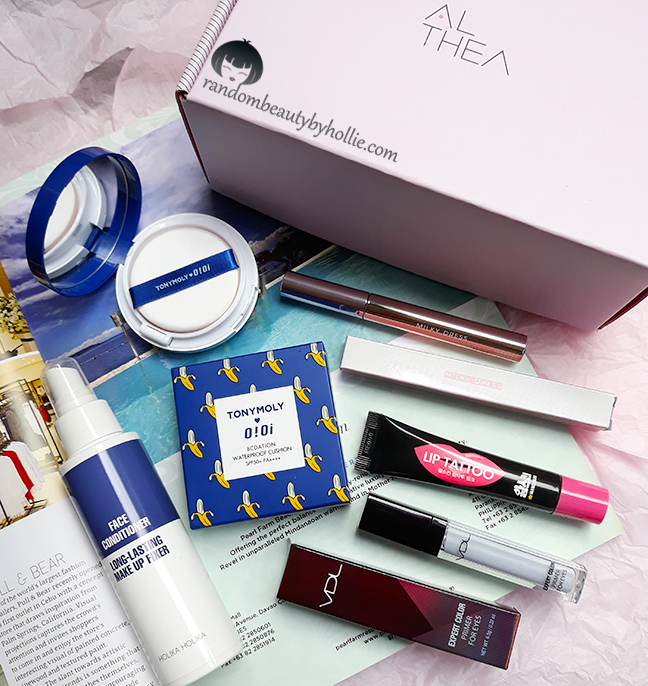 My favorite shop for all things Korean Beauty, Althea Korea occasionally releases various themed beauty boxes. This time I got the Althea Beauty Lifeguard Box. 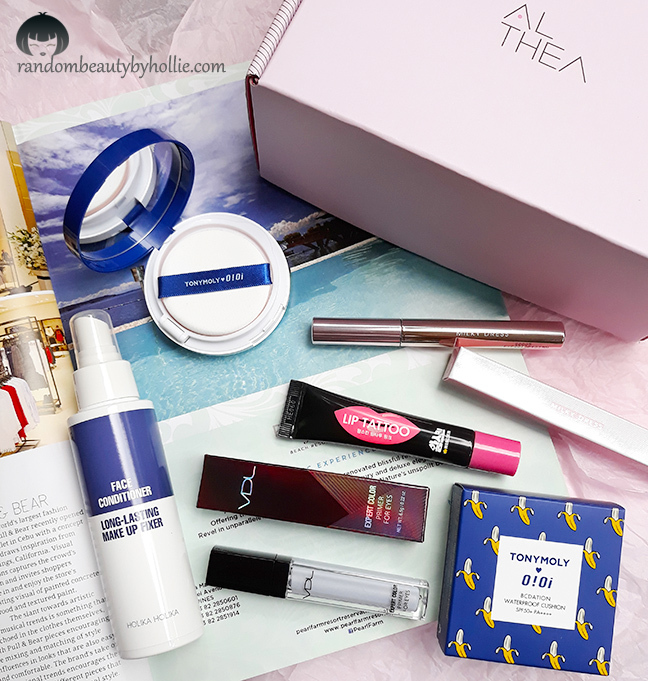 It is a beauty box curated especially for the summer to Keep your makeup on through all the Splashing, hot fun! Whats inside the Althea Beauty Lifeguard Box ? 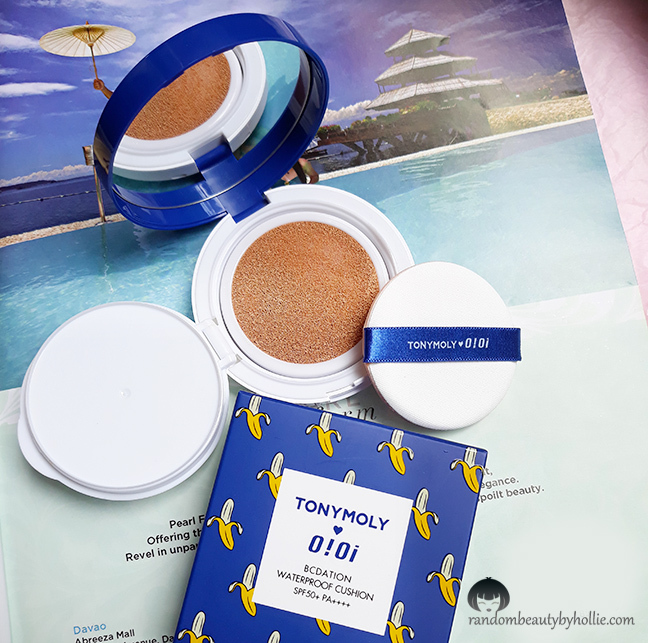 Tony Moly BCDATION OiOi Waterproof Cushion in 02 Warm Beige. It is a waterproof cushion that has SPF 50+ PA+++ for Suncare, Anti-Aging, and Skin Brightening at the same time. It claims to provide great coverage that adheres to skin all day. Also, contains sebum controlling powder to keep you oil-free. I have been testing out everything in the box for the past week and I must say I'm really impressed with this cushion. I have combination skin with oily T-Zone and so far this is the longest lasting cushion I've tried. - like all other Korean cushions this is one shade lighter on me. I think Warm Beige is the darkest one they have. So, I just thin this out when applying. It eventually blends in my skin tone after an hour or so. 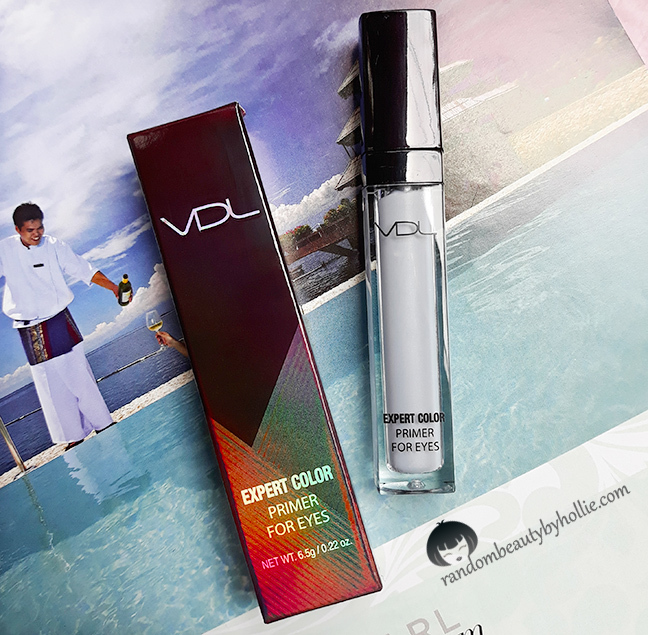 VDL Expert Color Primer for Eyes in Serenity. This eye primer is meant to correct any redness on the lids for a flawless canvas. It locks the eye shadows without needing to apply excess product or pressure and allows the eye shadows to show up vividly onto the lids. So far, it really stayed true to it's claims. It works the way it is described. It made my eyeshadow look more vivid, did not crease and definitely stayed all day. The packaging is sturdy and really reminds me of the lip gloss packing for my Laura Mercier Lip Glace. Milky Dress Barbie Make Mascara. 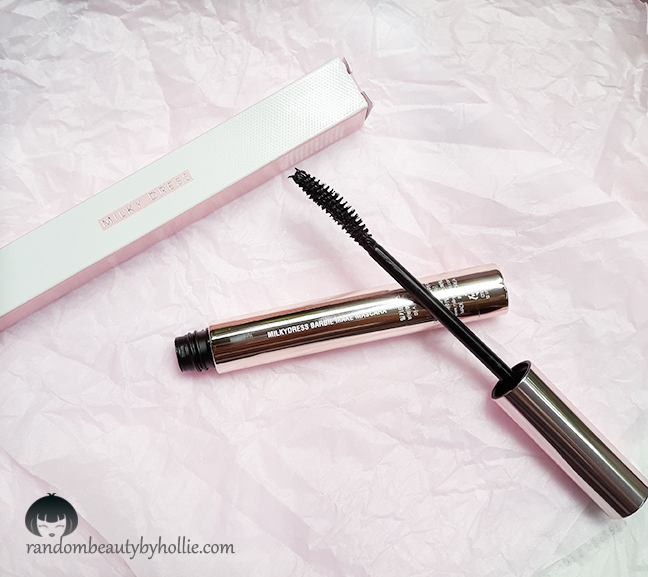 Is an all-in-one mascara that claims to provides curling, volume and long lashes. It comes with a very pretty rose gold packaging that is lightweight. The applicator comes in a semi-elliptical brush, a C-Curl a brush the offers perfect curl and volume for eyelashes. - can be a bit clumpy and does not layer well. I would recommend this to those who have very sparse and short lashes since it really lifts the lashes well. 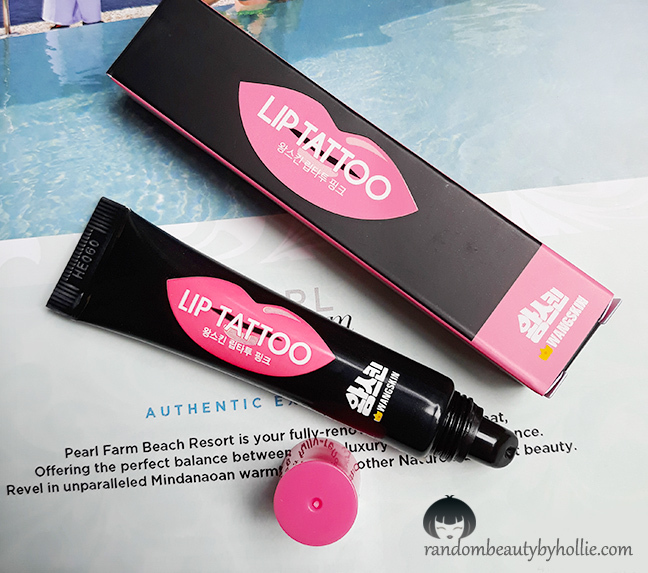 Wangskin Lip Tattoo Tint Pack in Pink. Claims to keep your lips looking juicy and tinted all day. Best used when lips are looking too pale, lips need a moisture boost and when you need a long-lasting lip colour. This product is actually very straight forward. You apply and leave it on your lips for about 15 minutes depending on how much you want for your lip color to look deeper. The consistency feels very similar to a normal glue, only thinner. I used this twice already. I left it to dry for about 15 minutes on my lips then peeled it off. I was left with a beautiful pink tint and it definitely lasted all day. It did not even come off while I was eating or drinking and did not transfer onto my glass as well. It does not leave my lips feeling dry but does not feel like it's giving my lips moisture either. Also, this did not sting my lips, which I'm very happy about. I like that it came with a squeeze type tube since I find that more hygienic. 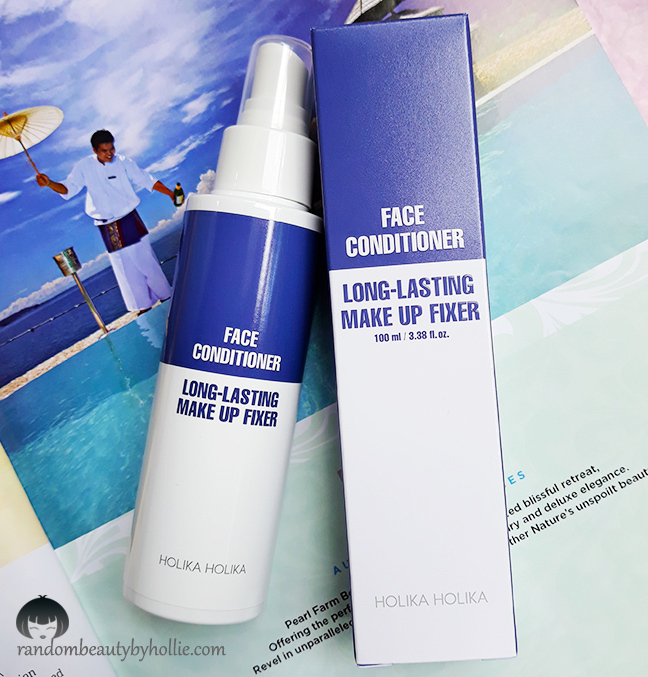 Holika Holika Face Conditioner Long-lasting Makeup Fixer. Sets makeup in place with a long-wearing formula, and can be used both as a priming spary and a setting spray. Claims to keep your skin moisturized without worrying about smudging throughout the day. It contains western rose water, crown sap, birch sap, lotus extract and lemon extract to moisturize the skin, leaving it with a dewy glow. - when I used it as a setting spray, it definitely helped my makeup last longer. My makeup just stayed in place all day with no smudging even when I was already sweating. The worth of the whole box is about Php5,050 and you can get it for only Php1,100 pesos! That's definitely a steal! Overall, I find that the Althea Beauty Lifeguard Box is worth every penny. I'm quite happy with this box and I would definitely recommend this to everyone who's looking for products that will make their makeup last all day. @CJ true sa Lip Tattoo...LOL. I'm just glad to have discovered the Holika Holika Makeup Fixer on this box.